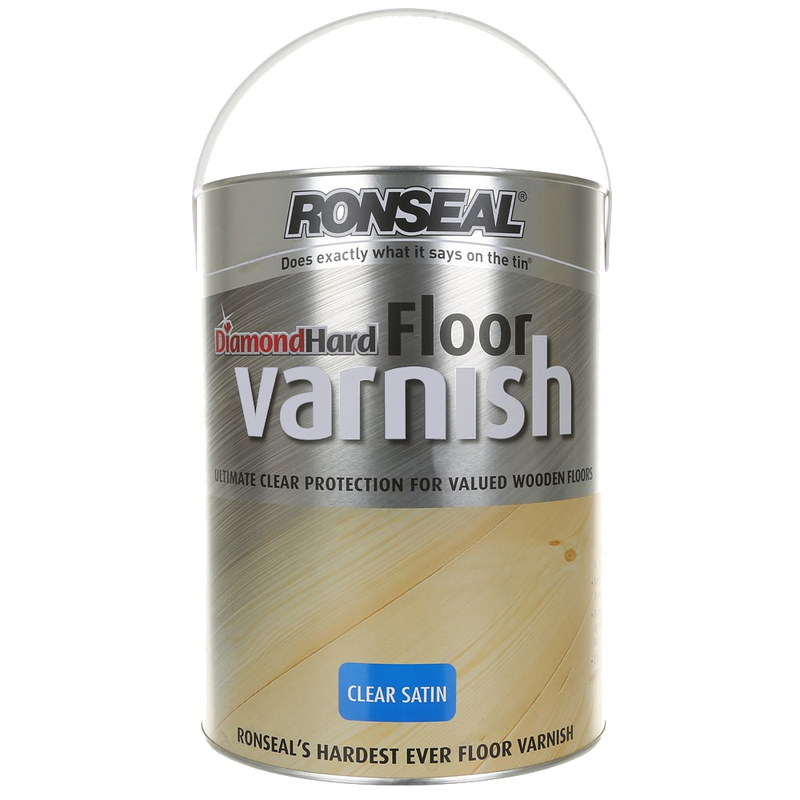 Ronseal Diamond Hard Floor Varnish is ideal for use on most wooden floors including those in kitchens and bathrooms and is particularly suited for areas of the highest foot traffic. 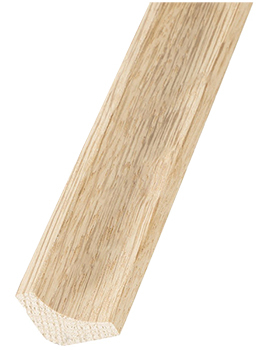 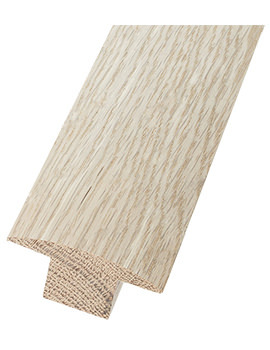 Suitable for use over most hard and soft woods, as well as hardboard, chipboard and wood composite. 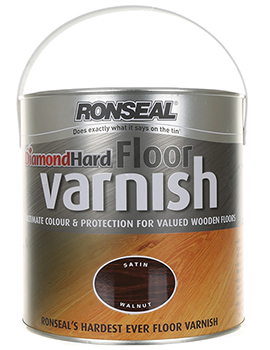 Diamond Hard Coloured Floor Varnish is available in a range of natural wood colours in an attractive satin finish which allows the beauty of the wood to show through whilst adding depth of colour to your flooring. 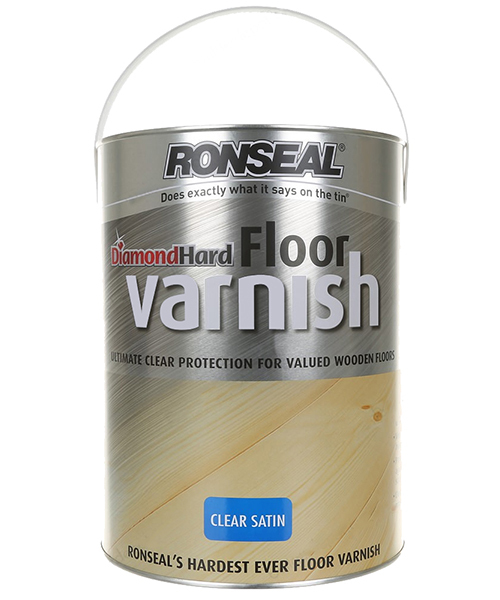 If you wish to varnish your floor but without adding colour, use Ronseal Diamond Hard Clear Floor Varnish. 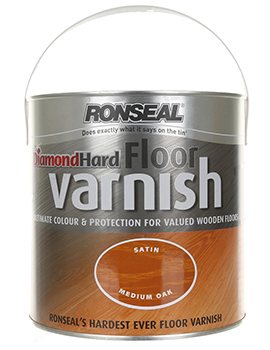 Coverage : 18 M² covered per litre.